Interested in getting out on the water? Fishermen’s Village Marina is promoting the upcoming June 10th National Marina Day to provide visitors with on-the-water boating experiences. We want to introduce people to our marina and to boating who otherwise might not have the opportunity to get out on the water. King Fisher Fleet will offer three, one-hour narrated cruises in the upper harbor, departing at 11:00 a.m., 1:00 pm, and 3 pm. The cost is $6 for adults, $3 for children 3-11, and free for children under 3. All proceeds from this cruise will be donated to the Charlotte Harbor Environmental Center in support of its programs. Reservations are recommended by calling 941 639-0969. Deck boat rides will be offered courtesy of Holidaze Boat Rentals to provide hands-on boat operating experience as well as kayaks and paddleboards to try out within marina waters. Reservations are encouraged by calling the Marina office at 941 575-3000. Marine-related exhibitors will be located by the docks. This will be an opportunity to advertise your organization and solicit membership. The space is free – tables and chairs to be provided by the participants. Please call 941 575-3000 to reserve space, deadline is May 19, 2017. 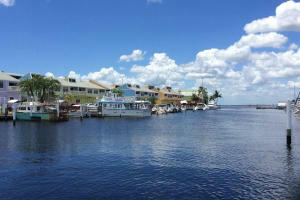 Parking and admission to Fishermen’s Village National Marina Day event is free and the public is encouraged to attend. Visit on line at www.fishville.com. Located on Marion Avenue, Punta Gorda.